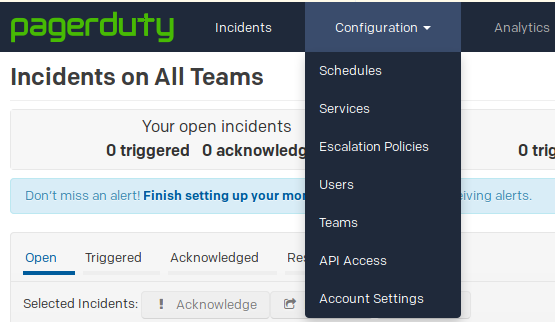 PagerDuty is a widely-used online incident management platform that “helps orchestrate the ideal response to create better customer, employee, and business value.” When something goes wrong, that incident can be logged in PagerDuty, and all team members who are responsible for monitoring that system will be notified about the issue. 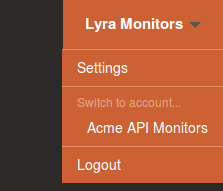 If your business relies on APIs (internal or external) and your customers expect near permanent uptime for your product, then your team needs to know when critical APIs fail. 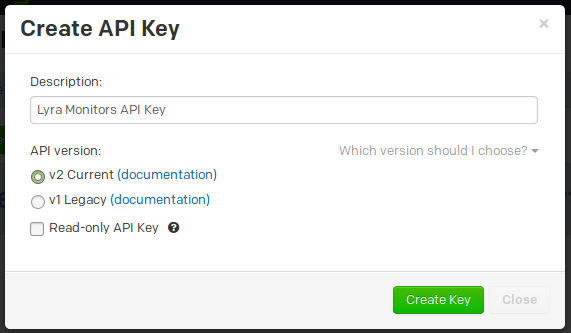 Integrating PagerDuty with your API Science monitoring services can help ensure that the team members who are responsible for maintaining your internal APIs, and maintaining code that responds to external API outages, are always informed. 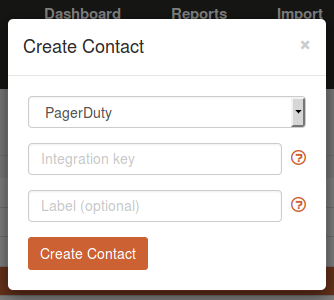 Before the contact can be created, a PagerDuty “Integration key” must be obtained from your PagerDuty account. You may enter a label for the contact. 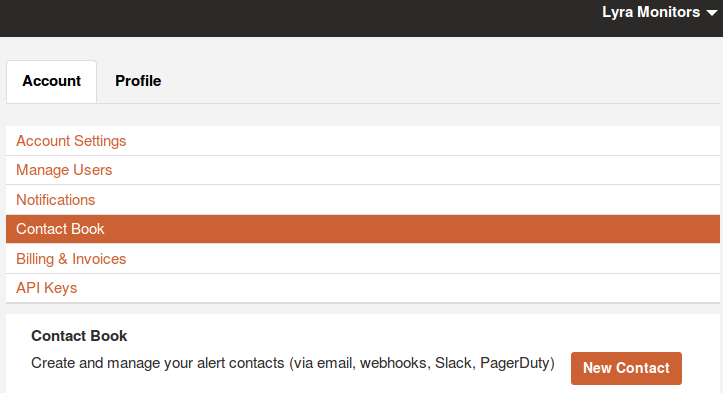 Clicking “Create Contact” enables your PagerDuty account to be contacted when one of your API Science monitors sends an alert due to an API check failure (or a return to service). 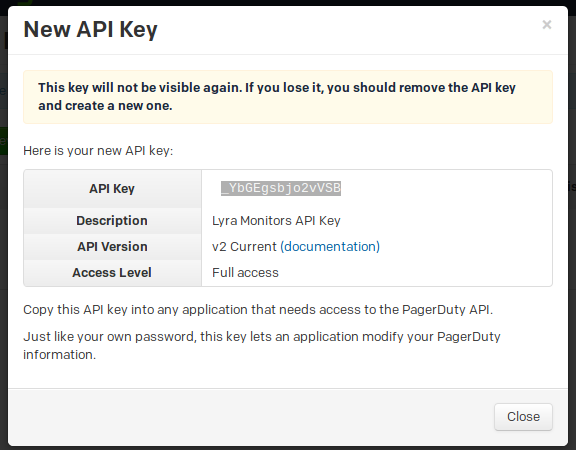 Click the “Add Rule” button, and your PagerDuty account will be notified whenever a validation for this API monitor fails. 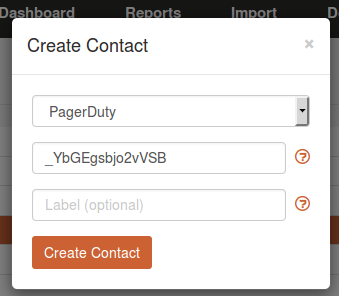 You can configure your PagerDuty account such that these reports will be forwarded to your entire API monitoring team via phone calls, email, SMS text messages, or mobile app push notifications. 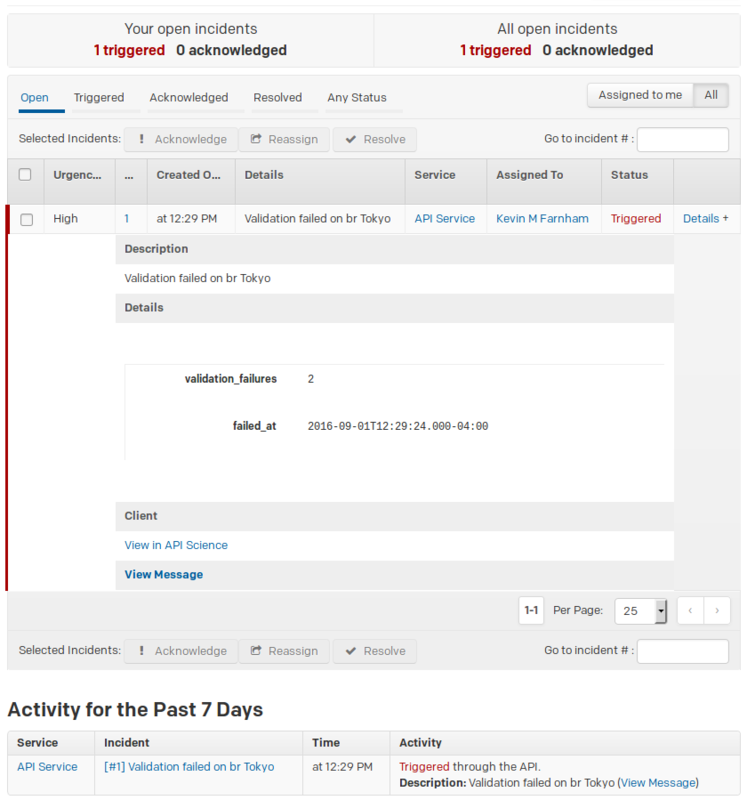 Alert Rules, API Monitoring, Integrations. permalink.